There’s an eye in the sky, and it’s watching the world’s pollution problem. 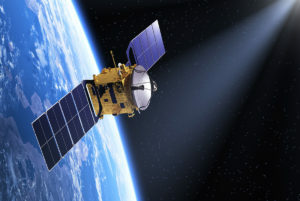 NASA recently announced it had employed its existing network of satellites to scan the world, looking for sources of sulfur dioxide, a toxic chemical and major cause of both acid rain and pollution. Their findings: there were 39 unreported cases of sulfur dioxide leaks around the world between 2005 and 2014. Satellite imagery showed these toxic leaks as hotspots on a map, and even outlined natural occurrences of sulfur dioxide gas leaks in volcanoes. Through regulatory policies, industries that normally produce sulfur dioxide emissions are to report them, as well as quantities of emissions and timings. What NASA found with its eye-in-the-sky showed that some scofflaws were taking advantage of poor regulatory checks on the ground, ignoring the reporting requirement altogether. Sulfur dioxide emissions are common in coal-burning power plants, foundries and petroleum extraction operations; the unreported sites were in the Middle East, Mexico and Russia. In addition to finding the hotspots (and pinpointing scofflaws), the satellites could estimate emission levels for reported areas and found that some areas underreported emissions by two to three times less than stated. Using the satellite findings, researchers not only outlined hotspots, but also tracked weather patterns to see where the toxic gas drifted. With this data, they could use predictive modeling to determine future threats to areas and quantify pollution levels. Four Ways to Improve Indoor Air Quality You’re Grounded! Drone On! Put me in, Coach!